Not only is the Chattooga the site of the best Georgia and South Carolina river rafting, it’s the perfect spot for all types of fun outdoor activities. 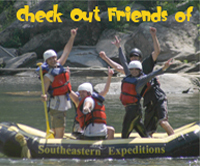 Do you have your Chattooga River rafting plans and are looking for other activities to do while on vacation? In addition to Chattooga rafting, you can also enjoy horseback riding in Northeast Georgia, river tubing near Helen Georgia, and hiking and backpacking in our beautiful state forests. 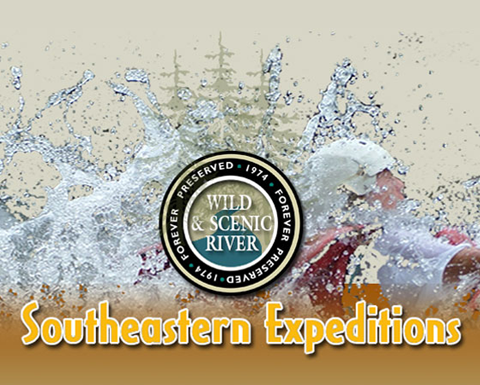 The North Georgia Mountains are just one big playground for any outdoor enthusiast. Below is a list of some of our adventure partners and activities that we highlighly recommend for more fun after a day of rafting in Georgia and South Carolina. Check them out and tell them that we sent you. If you’re an experienced horseback rider or always wanted to learn how, check out the large variety of equine activities at Sunburst Stables, located in the Northeast Georgia Mountains just a few miles from Helen, GA. In addition to whitewater rafting in Georgia, another fun river experience is to go river tubing at the Cool River Tubing Company located in Helen, GA. River tubing in Helen, GA is a great activity for families with young kids and those on vacation to share time together in a calm, relaxed way. The Chattooga river rafting region is also near several national forests for your hiking and backpacking pleasure. You can even test your mettle by hiking portions of the demanding Appalachian Trail.